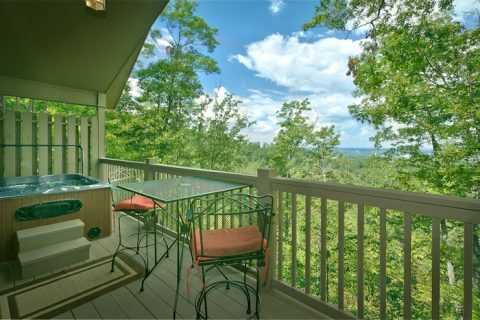 Searching for a luxury honeymoon cabin in the Smoky Mountains of Tennessee? 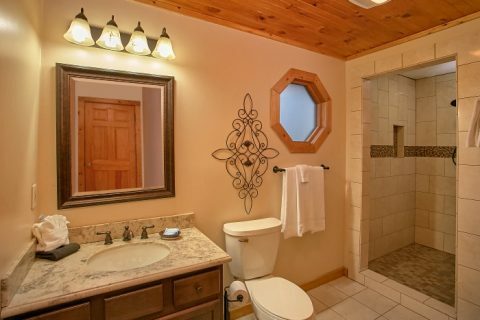 "Romantic Evenings" is a premium cabin for honeymoons that boasts mountain views, a large jacuzzi tub, a stacked-stone fireplace, and a prime location near the Pigeon Forge Parkway. 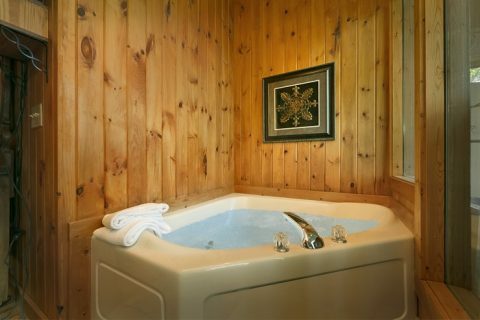 When you step into your luxury log cabin in the Pine Mountain area, all of your cares will melt away. 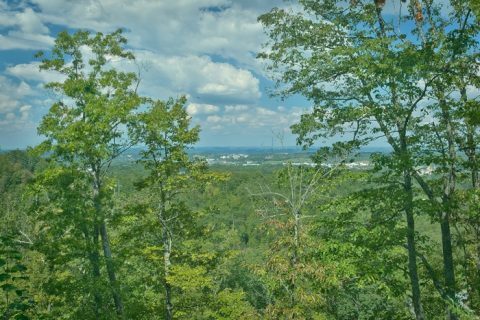 Large windows allow natural light to pour into your cabin and also give you the chance to enjoy gorgeous Smoky Mountain scenery. 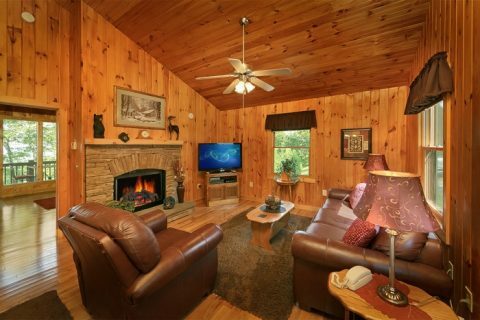 Your cabin's living area makes a great place to curl up with your sweetheart and enjoy a laid-back movie night. 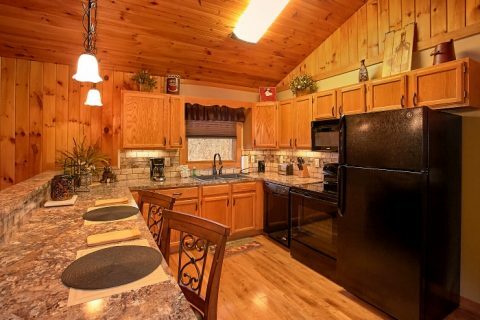 Also, your cabin's upscale kitchen makes preparing great meals a cinch. Enjoy a romantic dinner at the dining table or step outside onto your cabin's covered deck to dine on the patio furniture. 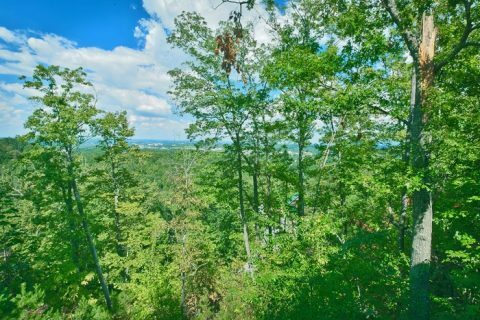 When the sun goes down on another great day in the Smokies, you'll be able to see the glowing lights from nearby Pigeon Forge. 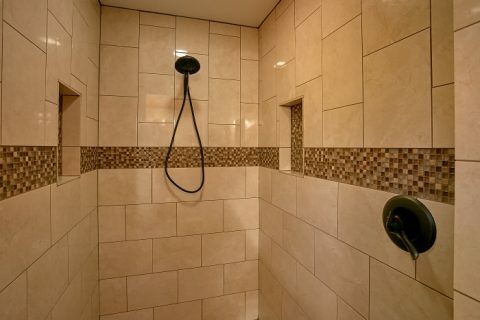 Your cabin with views also boasts a relaxing hot tub, large jacuzzi tub, and a custom shower for enjoying the utmost in cabin comfort and relaxation. 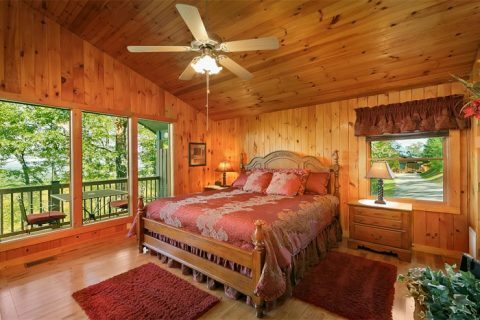 From the spacious king-size bed to the plush leather furnishings, this log cabin offers luxury to vacationers and honeymooners in the Great Smoky Mountains of Tennessee! From this cabin's great spot on the parkway, it's also easy to reach nearby Gatlinburg and several entrances into the Great Smoky Mountains National Park. 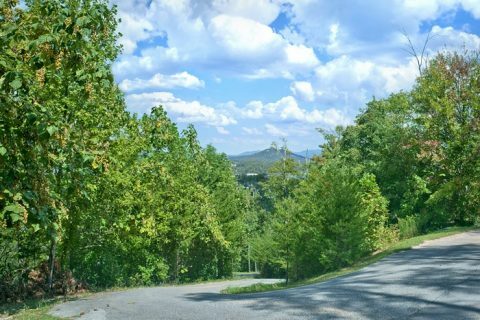 Enjoy a romantic hike to a waterfall, a picnic in the mountains, or chase a mountain sunset to the highest peaks in the Smokies! Planning a vacation with more friends? 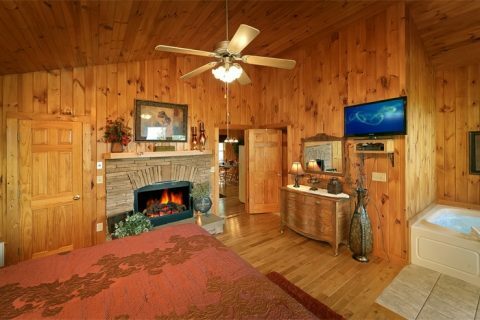 "Enchanted Evenings" is another Smoky Mountain cabin that's located near "Romantic Evenings." To learn more about booking multiple cabins, please call our reservations office for more details. 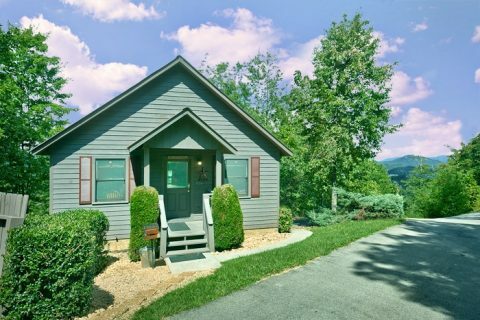 On top of the great value that this cabin for honeymoons offers, you'll also experience terrific vacation savings during your stay! 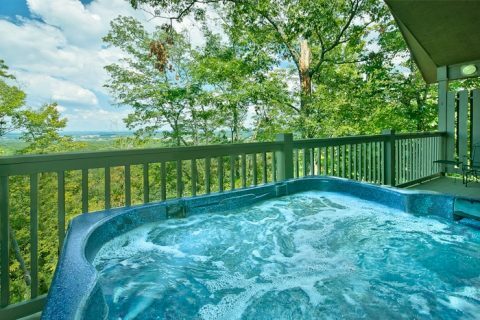 Earn a 15% discount simply for booking your luxury honeymoon cabin with Cabins USA Gatlinburg in the Tennessee Smoky Mountains!